The rise of the empowered shopper is shifting the way patients interact with the health care industry. No longer are patients passively receiving health care. Instead, they are taking charge of their own health and becoming empowered health care consumers. greater convenience in scheduling appointments. According to Deloitte’s 2016 Consumer Priorities in Health Care Survey, health care buyers want “high-quality services tailored to their specific needs.” What’s more, another survey, conducted by Accenture Consulting, found 75 percent of patients want more access to digital health tools like online scheduling and eVisits. Doctors, hospitals and insurers alike are borrowing from other service-oriented industries, like retail and banking. This is in an effort to develop tools and mobile apps to better connect with and deliver information to their consumers. People no longer need to call for appointments or schedule follow-up visits to review lab results or refill prescriptions. They now have the ability to schedule appointments, view test results, order refills and message their doctors directly. These activities are achieved through the ease of secure online portals and mobile apps like MyChart. Insurers and third parties are building cost and quality tools to allow consumers to check the price and provider ratings before scheduling procedures. Consumers are also taking advantage of new technologies to manage their own health outside of the doctor’s office. These include wearable sensors like FitBits and other fitness trackers. There are now even Wi-Fi-enabled blood pressure monitors and scales that can upload data to a mobile app. The rise of the empowered consumer is not just good for the consumer’s convenience. It’s good for the industry as a whole. Consumers are becoming more engaged in their own care and talking more often with their doctors. And they have access to more cost and quality information. Technology helps health care consumers and health care professionals make the best decisions they can for themselves, their families and their patients. These tools can help reduce inefficiencies in the industry and help control costs. Indicates whether that facility is in-network for a particular insurance plan. Our Find a Drug Tool searches for information about prescription drugs and pharmacy services. We’ve partnered with Prime Therapeutics to provide information on cost, quality, and coverage of medications and pharmacies on your insurance plan. The Find a Doctor Tool searches for doctors or health care experts to find the right doctor on your insurance plan. It also provides quality information and services offered by that doctor. Though not a new tool, Health Line Blue is our convenient nurse hotline available 24/7. To help save time, our dedicated nurses can help customers determine when and where to get care. They can also answer questions about medications or conditions until a doctor can be seen. For life-threatening emergencies, please call 911. If you’re a Blue Cross NC member, you have access to these tools and more through your Blue Connect account. 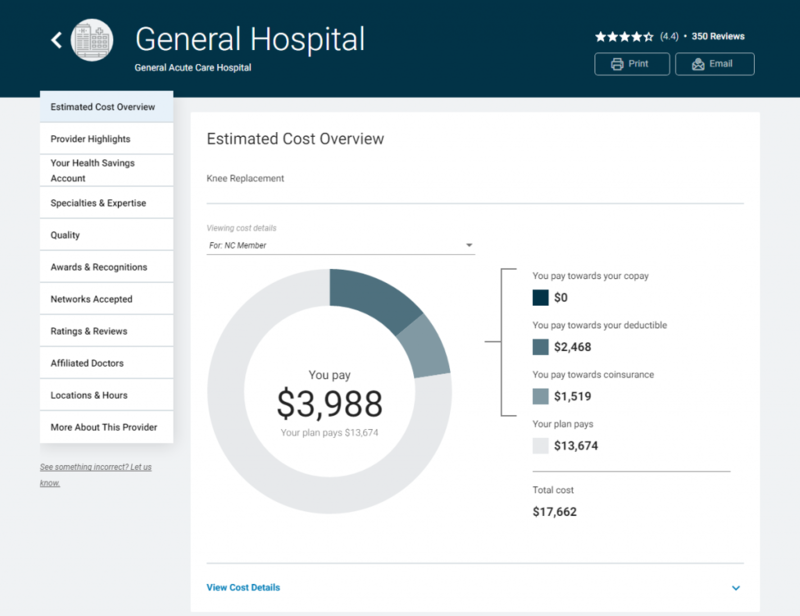 Blue Connect also gives you access to cost and quality data. This data allows you to find the best place for you and your family to receive care. After logging into Blue Connect, you can find data for more than 400 common procedures. 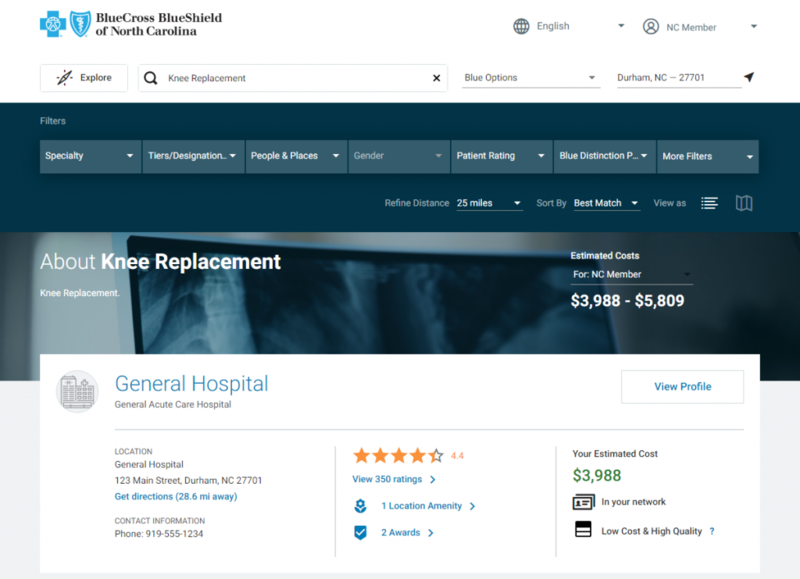 The available cost and quality data are based on what Blue Cross NC members have paid on average over the previous 12 months for all 400 procedures. 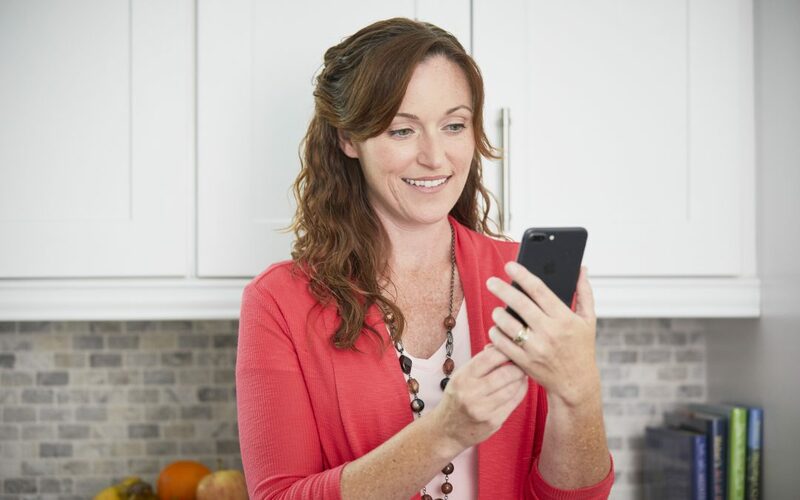 Blue Connect also provides information specific to members’ plans and benefits. This includes things like how members are tracking against their deductibles. This helps provide a better estimate for how much members will need to pay out of pocket. How Does the Cost Estimator Work? Visit Blue Connect. If you have not set up your account, you will need to create an account before you can log in. Once you log in, select “Find a Doctor or Facility” from the welcome page, or “Estimate Treatment Costs” from the header. Select “Find Medical Costs”. The search page will open in a new window. In the search bar, enter the procedure or treatment you need cost and quality information for. The search bar will provide suggestions. Select the procedure you are interested in. The search results will display the estimated highest and lowest costs based on the search result data. From here, click on a specific provider or facility to view a profile. On the facility or provider profile page, you will see a profile with quality information. And you will also see a cost overview for the procedure with a more detailed estimate. Here you can see what your estimated out-of-pocket expenses will be, including coinsurance, what Blue Cross NC is estimated to pay and how you are tracking against your deductible. We’re doing our part to equip our customers with health care cost and quality information. This will allow our customers to make the best health care decisions for themselves and their families. Blue cross NC customers should visit Blue Connect to find more information and to learn more about how to take advantage of these tools. Visit StateofCosts.com to learn more about how we are working on your behalf. Deborah manages a variety of Blue Cross and Blue Shield of North Carolina's online programs. She recognizes the complexity that arises as our customers make their healthcare choices and is passionate about ensuring they have all the information where they need it, and when they need it!